Celebrating 120 Years of Nourishing the Human Spirit! Since our founding in 1898 in the parlor of the Black family home, LifeCare Alliance has been promoting health and independence for the central Ohio community. Learn more about our journey here! Typhoid epidemic struck down 1,837 people in Columbus. IDNA nurses were the front line of defense. Established the first Baby Camp with funding for two tents donated by the Columbus Evening Dispatch newspaper. One tent was erected on the grounds of the Godman Guild Settlement House, the other at Mercy Hospital. Flooding killed 93 people and destroyed more than 4,000 homes. Director Jane Tuttle was placed in charge of all relief work. Police and rescue crews reported to and took direction from her. Accepted its first public health students from Grant Hospital School of Nursing. Established infant welfare stations throughout the city. District Nurses weighed the children and instructed the mothers about infant and child care. IDNA became a charter member of the Community Chest, forerunner of the United Way. In five years, The Kiwanis Demonstration Center decreased the infant mortality rate to 1 in 292. Originally, it was 1 in 59. Established the first crisis center in Columbus to tend to the needs brought about by the Depression. Nearly 14,000 people personally applied at the District Nursing office for nursing and medical aid. Employed the agency’s first dietitian. The IDNA adapted to continue the education campaign to improve child and maternal health and survival. IDNA established an emergency consultation service to assist people in applying for nursing and medical aid. IDNA proudly flew service flags with 12 stars representing the nurses in service during WWII. The strength in time of war lay in the IDNA nurses to quietly, firmly, and bravely carry on in the face of extreme hardship. The IDNA noted that the number of older people and people with chronic illnesses and disabilities was growing, an issue that would soon need to be addressed. IDNA led February flood relief efforts with 35 nurses. The IDNA nurses focused their attention on the needs of older and disabled residents of Franklin County. Initiated mass Sabin polio vaccine program in Columbus. IDNA nurses were in the forefront of providing immunizations to the community. The first class of Home Health Aides graduated. Established senior citizen nursing clinics, now known as Wellness Centers, in senior housing areas. IDNA changed its name to Community Health and Nursing Service (CHNS). Began preparing Meals-on-Wheels at Bradford Commons on the Ohio State University campus. CHNS’s first nutrition program, (second Meals-on-Wheels program in the nation) Food for Elderly People, initiated to provide hot, nutritionally balanced meals. Changed name from FFEP Program to NICE (Nutrition Involving Community Elderly). Funded through Title III of the Older Americans Act, NICE served 287,901 meals its first year. Adopted the name LifeCare Alliance to demonstrate the agency’s expertise in caring for people from birth through old age by an alliance of health care professionals, volunteers and programs designed to promote independent living. Expanded community nursing clinics to 17 Columbus-area locations. Moved into new program building on West Mound Street. First time all the administrative programs were united in one central location. Increased meals production to 4,000 per day. Kitchen opens at Mound Street complex. The Agency’s food production program expanded to more than a million meals per year. Introduced dining centers for the Asian community, seeing participation grow from 30 to almost 200 in less than a year. Introduced frozen meals, delivered weekly, to people who can safely forego a daily visitor. LifeCare Alliance’s Centennial Year – A year of celebration! Opened the first Soul Food and Hispanic Senior Dining Centers in Central Ohio. Began delivery of after-school meals. LifeCare nurse practitioner opened primary health care clinic for adults in Columbus. Introduced new look for the agency to strengthen brand identity, including logos, colors, and an icon named “Spirit.” Opened a Somali Senior Dining Center. LifeCare Alliance assumes operation of the Madison County Meals-on-Wheels Program from the Madison County Hospital. Project OpenHand-Columbus became a program of LifeCare Alliance. The Agency launches its first two social entrepreneur programs: L.A. Catering and “Catch The Wellness Spirit” (corporate wellness program). The Columbus Cancer Clinic became a program of LifeCare Alliance. The Clinic provides quality cancer prevention, early cancer detection, and homecare support services to individuals living with cancer. On Feb. 6, the Agency’s first capital campaign milestone was achieved when it purchased and began renovation of a warehouse located at 670 Harmon Avenue. Expanded the Agency’s Wellness Center Program’s services to include travel vaccinations. The Agency opens Carrie’s Café at its new meal distribution and event center located at 670 Harmon Avenue. In May, IMPACT Safety merges into LifeCare Alliance, the Agency’s fourth merger since 2003. The Agency assumes the Meals-on-Wheels Programs in Champaign and Logan counties due to financial problems with the previous provider. LifeCare Alliance is awarded a state capital grant of $1.5 million to fund capital improvements. The Central Ohio Diabetes Association merges into LifeCare Alliance. 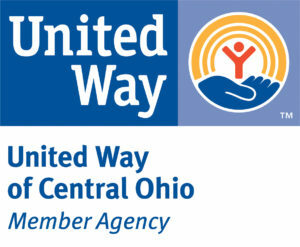 The Agency celebrates 120 years serving central Ohio and 45 years of delivering Meals-on-Wheels.